With the popularity of low-carb diets and the disdain for the high starch content of our beloved spuds, the poor potato has gotten a bit of a bad rap. But while we begrudgingly admit that it may not be in our health's best interest to enjoy french fries every day (despite the fact that it absolutely is in our palate's best interest), potatoes do have plenty of nutritional value and benefits . 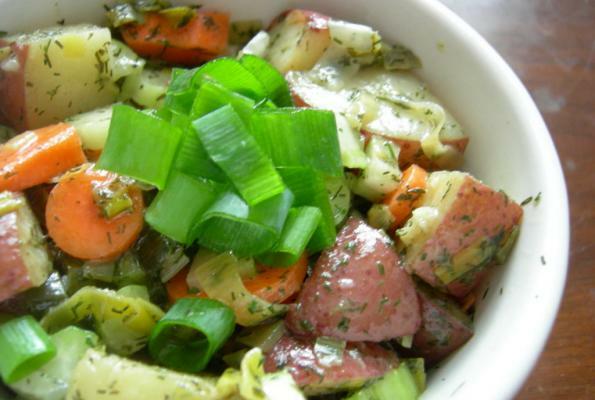 Now of course, we know the nutritional value of potatoes (and pretty much all foods) can be negated by what we choose to top, pair, or cook it with, so if a low-calorie, high-fiber potato dish is more to your liking, than a simple, plain baked potato topped with raw chives is just as tasty and satisfying (or try our simple Garlic-Spinach Baked Potato )! Don't forget to eat the skin, because most of a potato's fiber offerings is in the peel. Give your potato a good scrubbing before cooking, and reap all the nutritional benefits of the tuber.